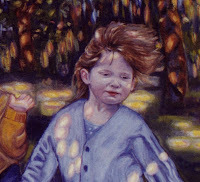 Oil Painting Medic: How do I Paint Ginger Hair in My Portraits? This is exactly what I needed. I’m not (sadly) a painter but I’m working on a series of stories featuring one and I need some occasional technical info to make that element realistic. I may be visiting this site often. Thanks!